The area that makes up Eatontown, located in Monmouth County, NJ, was first settled in the late 1600s and eventually named after Thomas Eaton, who built a mill during the settlement’s early years. Since then, Eatontown has grown into a vibrant community, with more than 12,000 residents calling it home. Nowadays, the local Monmouth Mall brings shoppers to the Eatontown area from all over the Garden State. 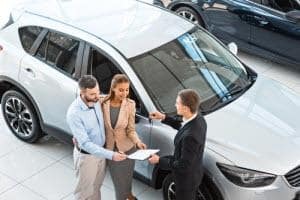 While there are plenty of shops, boutiques, and markets in Eatontown, residents on the hunt for a stylish luxury car have to travel a little further. 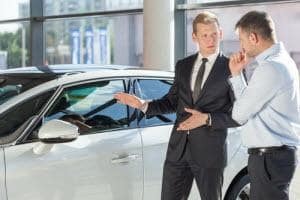 Luckily, there’s a helpful Porsche dealer near Eatontown with a vast inventory, helpful service, and plenty of options. 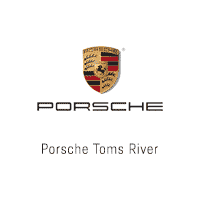 Look for us at Porsche Toms River to get started on the journey to your Porsche. Having a Porsche dealer near Eatontown certainly has its perks, especially when you’re in the mood to look around and get a sense of your options. However, you can also save yourself the trip by getting a sense of our inventory on our website. Our entire inventory is available for viewing on our website 24/7. Whether you’re considering a stylish sedan like the Porsche Panamera, a sophisticated crossover like the Porsche Macan, or a fun convertible like the Porsche Boxster, you’ve got all these models and more to check out with just the click of a button. After you’ve had a chance to peruse our inventory and gotten an idea of what you’re looking for with your luxury car purchase, the next step is to head to our Porsche dealership from Eatontown to get a closer look and some more perspective. Our Porsche Brand Ambassadors will guide you through our showroom to help you learn more about your favorite models. They’ll answer your questions and highlight the optional trims and packages. They’ll also recommend a test drive at the appropriate time so you get the right experience to help you choose your next luxury car. By gauging the performance and experiencing the luxurious style and sophisticated features, you’ll be able to determine if the vehicle is right for you. An important aspect of being a luxury car driver and owner is properly maintaining your vehicle and ensuring that it remains in good condition. At our Porsche dealership near Eatontown, we can help you get the necessary maintenance and service for your vehicle. Whether you need an oil change, a tire rotation, or a complex transmission repair, our team of certified technicians can take care of your service needs and get you back on the road in your sleek and stylish Porsche. Just schedule a service appointment with us online! At Porsche Toms River, we’re proud to help drivers in Eatontown on the journey toward the right Porsche vehicle. Contact us today with any questions!